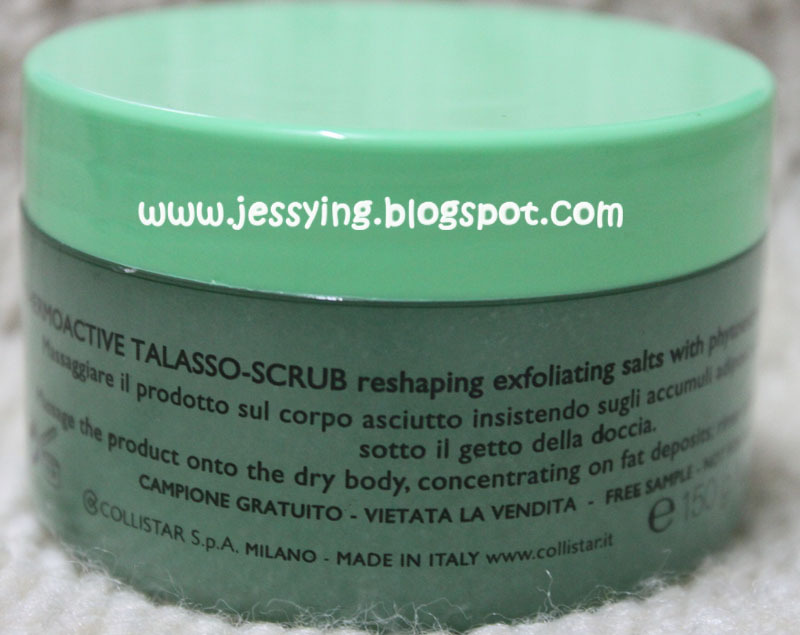 A while ago Sasa Malaysia is looking for guest writer for Collistar Talasso- Scrub Termoattivo a brand that Sasa carries in their store and guess what LUCKY ME was selected to be one of them! Collistar Talasso Scrub Termoattivo is a reshaping exfoliating salts with phytoextracts and essential oils. According to the website,it is a special heat-effect thalasso treatment designed to exfoliate and reshape the body. Exfoliating action - 90 types of sea salts to leave the skin instantly smoother, brighter and more toned. Revitalizing power - Lavender and rosemary essential oils revive the skin and give energy and well being to the organism. I was given a deluxe size of 150g to try which lasts me for less than 3 times, I tried on my big fat thighs and round tummy! 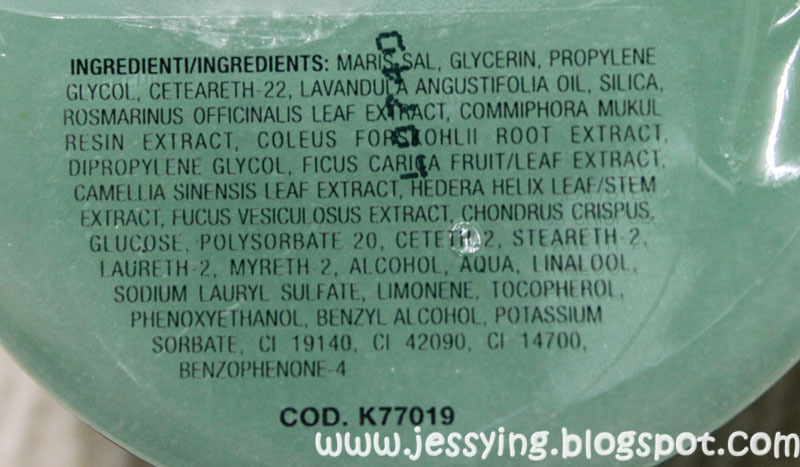 When I first opened it, I take a sniff like how I usually do before using any new product. 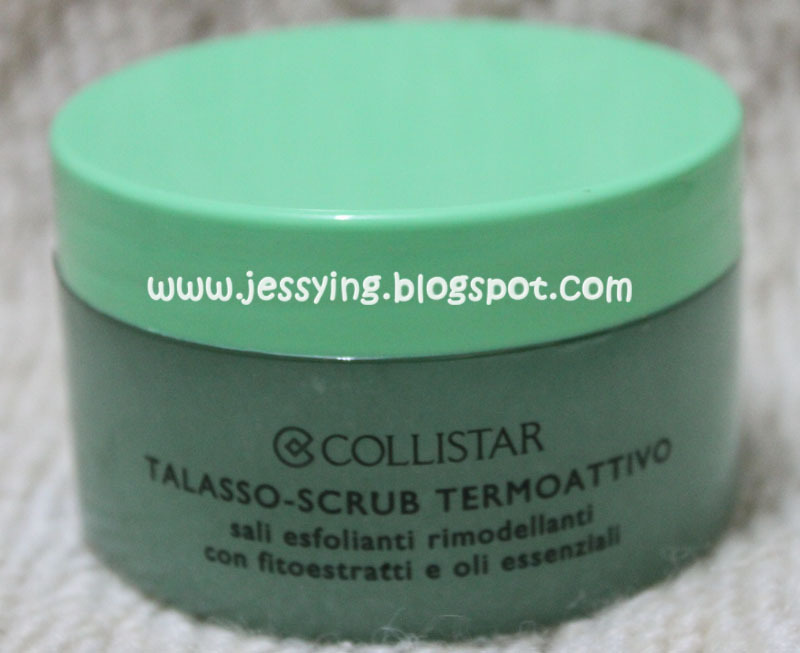 I must say Collistar Talasso Scrub Termoattivo smells so so good, full of lavender and rosemary essential oils, it is so heavenly refreshing! As I was not provided with spatula, I have to use my fingers (without much thought) to dig out the salt to apply on my hand for this demo... Argh... those salts got stuck in my my nails as I was digging... and took me a while to remove it. So warning girls, get a spatula ! The first time I used it, I accidentally wet my body and put on the scrub on my body. And I must say it does not work well on wet skin as it melted even before I start scrubbing it and one must be very gentle while scrubbing or it will caused redness (especially for people with sensitive skin). To be honest, I did not felt a lot of heat effect when I used the scrub, only very slightly warm feeling when I scrub intensely on my palm. 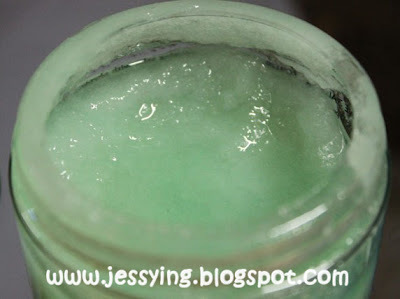 And the heat effect only if you apply the scrub on dry skin! Result : After scrubbing for a good 5-10 minutes, I can definitely say that my skin smells so good and awake (because of essential oils), smoother and slighter brighter. 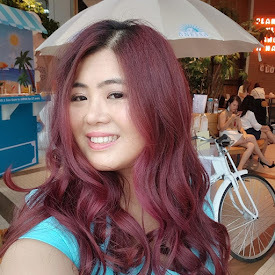 And to be honest I cant see whether there is slimming effect on my skin as the quantity is too little for me to last me a bit longer to see (got too much fat and I need more to scrub it away!). This reminded me of my un-finished slimming packaging where the the salon therapist scrubbed my body with chilly scrubs. I remembered the therapist was using the method of pushing/scrubbing the fats from the side to the middle part of the body. So I guess if I would apply the same method, the probably the scrub slimming effect would work better for me?? Or maybe I should hire a lady masseur and help scrub everyday for 1-2 hour, I believe still cheaper than the freaking expensive slimming package! This produce is available for purchase at any SaSa outlet at RM145 for 700g. And would really consider purchasing it if the price was slightly lower or having discount as I believe a bottle of 700g would not last me long with so many fat deposits around me..hehe ! p/s: My bf told me I smell so good and he love this smell the most among my other body scrub. 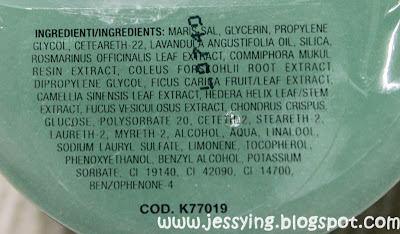 Thank you SaSa Malaysia for providing the above product for blog review.